Association of Ukrainians in Great Britain (AUGB) [Союз Українців у Великій Британії] – the largest Ukrainian community organisation in the United Kingdom, founded in 1946. The history of the AUGB dates back to the middle of 1945 when a group of Ukrainians in the Polish Armed Forces based in the United Kingdom began to consider the formation of an Association of Ukrainian Soldiers in the Polish Armed Forces. In the course of the initial planning phase it was decided to extend the eligibility for membership of the envisaged organisation to all Ukrainians already in Great Britain and to those arriving in the country in the future. At an inaugural general meeting held on 19-20 January 1946 in Edinburgh the Association was established under its present name, with the aim of uniting all Ukrainians in Great Britain. In December 1947 it was incorporated as a limited company. The AUGB membership initially consisted mainly of Ukrainians in the Polish Armed Forces under British command based in the UK. In 1947-48 the number of members increased greatly following the arrival in the country of Ukrainian European Voluntary Workers and former soldiers of the Galicia Division, and the transfer of the latter to civilian status. By the end of 1949, when the post-war mass immigration of Ukrainians to the UK had ended, about 23,600 individuals had joined the AUGB. Of this number, however, about 4,000 had subsequently emigrated to other countries, resigned from the Association, or otherwise become inactive. Over 750 members resigned following a split at the March 1949 AUGB annual general meeting, which resulted in the formation of the Federation of Ukrainians in Great Britain in October 1949. Although new members continued to join the Association, in the first half of the 1950s the total number of active members decreased significantly. At that time about 2,000 members emigrated to other countries. Many members lost touch with the AUGB after the mass dispersal of Ukrainians from post-war camps and hostels to private accommodation in towns and cities around the country. Some left the Association on the grounds that, in their view, it had come under the excessive influence of the OUN(B), the largest of the émigré Ukrainian political organisations in the UK. At the end of 1955 there were about 8,500 active AUGB members. Thereafter the membership continued to decline, mainly owing to a gradual increase in deaths within the post-war immigrant generation. Second generation descendants of the post-war immigrants began to join the Association in the mid-1960s, and from 1968 they formed the majority of new members. Later they were followed by new members from the third generation. In recent years several dozen new members from the latest wave of Ukrainian immigrants have joined the Association. Over the course of its history approximately 29,000 members have joined the AUGB. At the end of 2012 there were about 2,000 active members, most of whom were born in the UK. As a rule, members of the AUGB belong to formally-constituted local branches or unconstituted local groups. Branches have at least 12 members and are led by elected branch committees. Unconstituted local groups generally have fewer members and liaise with the Head Office through nominated representatives. The organisation of members at a local level began informally in the camps and hostels in which most Ukrainians in the UK lived in the early post-war years. The first formal AUGB branch was formed on 24 August 1947 in the village of Caunton, Nottinghamshire, and in the same year the first city-based branch was established in Manchester. By the end of 1949 there were 242 branches and 116 unconstituted local groups. In the 1950s these numbers began to decline, as the Ukrainians began to migrate from rural areas to towns and cities and many hostel-based branches were closed down or amalgamated to form larger ones. At the end of 1960 there were 69 branches and 20 unconstituted groups. The number of branches remained broadly stable until the early 1980s, when it began to decline again. At the end of 2012 there were 28 branches and 19 unconstituted groups. In 1948 regional councils were introduced into the AUGB’s organisational structure, with the aim of coordinating the activities of branches within particular regions. Three such councils were established, covering the Manchester area, Scotland and parts of northern England, and Yorkshire, but they only existed for a short time (the Scotland regional council remained active the longest, until the late 1950s). In the early 1950s some larger branches began to purchase buildings in which their members could meet and conduct activities. The earliest such AUGB branch centres were acquired in Bradford (1950), Manchester, Bury, Rochdale (1951), and Oldham, Halifax and Bolton (1952). The number of branches with their own centres rose to 46 in the 1980s. From the mid-1950s social clubs were established at most of them with the aim of generating income to help fund the activities of the AUGB branches and other organisations. The Association was initially governed by a president and an executive committee, elected at annual general meetings (AGM) of branch delegates. Since 1948 a president and a Governing Council have been elected annually. The latter appoints an Executive Committee which convenes between Governing Council meetings. A Finance Control Committee (financial oversight committee) and a Tribunal (Mediation Committee) are also elected at each AGM. At times, an honorary chairman has been elected as advisor to the Governing Council. From the mid-1970s leadership of the AUGB gradually passed from members of the post-war immigrant generation to their mainly UK-born descendants. The first member of the Governing Council from the second generation was elected in 1974, and the first second-generation president in 1988. Since 2006 the Governing Council has consisted entirely of descendants of post-war immigrants. The AUGB Head Office was initially located at the premises of the Central Ukrainian Relief Bureau (CURB), 218 Sussex Gardens, London W2. In March 1947 the Association acquired its present building at 49 Linden Gardens, London W2, and in the same year the first full-time Head Office staff member was employed. During 1948, when almost 16,000 new members joined the Association, the number of Head Office staff increased to 41. This staff level, however, was unsustainable and declined to 11 by the end of 1955. It remained at approximately this level until the 1990s, since when it has fallen again (2013 – 3 staff). Responsibility for managing the Head Office has generally been exercised by the AUGB general secretary, though at times a separate Head Office director has been employed: George Salsky (February 1948 – March 1949), Alexander Moncibowycz (June – September 1953), Swiatomyr Fostun (March 1961 - April 1964), Iwan Rawluk (April 1965 – June 1977), Markian Szeptyckyj (September 1989 – June 1996). The AUGB structure provides for the establishment of autonomous sections of the Association. There are currently two such organisations: the Association of Ukrainian Women in Great Britain (established 1948) and the Association of Ukrainian Teachers in Great Britain (est. 1955). In the past, the Relief Board for Ukrainian Students in Great Britain (est. 1948, wound up in 2003), the Union of Ukrainian Traders and Businessmen (est. 1955, active until about 1960), and the Curatorial Board of the Taras Shevchenko Library and Museum (est. 1963, active until the end of the 1980s; now the Shevchenko Library and Archive) also existed as AUGB sections. 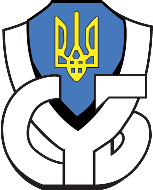 In 1980 the Association’s rules were amended to include corporate membership, and the following organisations subsequently became corporate members: Association of Ukrainian Former Combatants in Great Britain, Ukrainian Youth Association in Great Britain (UYA), Ukrainian Hetmanite Organisation (Soiuz Hetmantsiv Derzhavnykiv) in Great Britain (effectively ceased to exist in 1997), Ukrainian Information Service (UIS), Ukrainian Publishers Limited (merged with the UIS in 1993), and the Nova Fortuna Co-operative Society. The AUGB co-operates with Ukrainian organisations in other countries through membership of the Ukrainian World Coordinating Council, the Ukrainian World Congress, the European Congress of Ukrainians and the International Conference in Support of Ukraine. In the early years of the AUGB’s history its work focused largely on providing the post-war Ukrainian immigrants with material assistance and moral support in relation to various aspects of life in the UK. Until the end of 1947 similar work was also undertaken by CURB, but thereafter the AUGB took on full responsibility for this. From 1948 to the early 1960s the Association also co-operated with other organisations, representing immigrants to the UK from various East European сountries, within the framework of the Central Co-ordinating Committee of Refugee Welfare Organisations, established to act in the joint interests of the national groups in question. The head office provided advice, translation and interpreting services and other practical assistance in connection with matters such as finding employment, applications for official documents, resolution of issues at hostels or places of work, bringing family members to the UK from overseas, and emigration to other countries. In later years, help with matters such as pensions and the preparation and execution of wills became more of a priority. Much attention was also focused, by both the head office and local branches, on providing material assistance and other support to the ill, disabled and others in need. At the end of 1948 the AUGB led a protest action against the planned deportation of approximately 300 disabled former Galicia Division personnel, many of whom were subsequently housed in the Sydenhurst residential home in Surrey purchased by the Association in 1949. Sydenhurst later became a home mainly for elderly Ukrainians, and in the final years before its closure in 2013 its residents were mainly non-Ukrainians. From 1971 to 1998 the AUGB also operated the Kobzarivka care home in Derbyshire. Throughout its history the AUGB has engaged in educational activities, initially focusing on the needs of the adult post-war immigrants. English language instruction was provided at some branches, as well as courses in Ukrainian history and current affairs, and practical subjects such as dressmaking. In 1948-51 the AUGB promoted specialist vocational distance learning courses run by the Ukrainian Technical and Husbandry Institute in Germany, in which about 150 Ukrainians in the UK participated. In the early 1950s Ukrainian supplementary schools for children of the immigrants began to be established at some AUGB branches. The above-mentioned Association of Ukrainian Teachers in Great Britain subsequently assumed oversight of the AUGB schools. By the mid-1960s there were 44 schools at AUGB branches, attended by over 2,200 pupils. In subsequent years the number of schools gradually declined. In 2011-2012 there were 8 schools remaining, attended by 260 pupils, comprising grandchildren and great-grandchildren of the post-war immigrants and children of recent immigrants from Ukraine. In the 1950s, and again in the 1970s, the Association investigated the feasibility of establishing a Ukrainian secondary boarding school in the UK, but the project was not realised. From 1945 to 2017 the AUGB published the Ukrainska Dumka newspaper (originally called Nash Klych; published weekly until September 2004, then fortnightly). At various times it also published the following periodicals: Kalendarets Ukraintsia u Velykii Brytanii, a pocket-sized annual yearbook (1947-2004); Osa, a satirical magazine (1947-1948); The Ukrainian Review, an English-language quarterly of Ukrainian affairs (1954-2000); and Yuni Druzi, a magazine for children (1955-1984). The Association has published many books and pamphlets (the majority in the 1950s-1970s), including Ukrainian-language publications for both the general reader and for children, as well as English-language publications intended mainly for the British public. In November 1947 the AUGB took over the Ukrainian Booksellers and Publishers, a business created by CURB three months earlier, and opened a bookshop, which continues to exist, at the Head Office building. Since its inception the AUGB has undertaken various activities aimed at preserving Ukrainian culture within the Ukrainian community and promoting it within British society at large. In many of the post-war camps and hostels, where the early AUGB branches were established, choral, folk dance, drama and instrumental groups were formed. Many of these remained active after the subsequent large-scale migration to towns and cities. In 1954 there were 17 choirs, 14 folk dance groups, and 15 drama groups at AUGB branches. They took part in concerts and other cultural events organised by local branches or the Head Office (often to commemorate prominent figures or events in Ukrainian history), as well as in events outside the Ukrainian community, including international festivals and competitions in the UK or abroad. In later years most of these groups became inactive, their place being taken by new ones, consisting of descendants of the post-war immigrants, especially within the framework of the UYA and the Plast Ukrainian Scouting Organisation. Some groups, however, continued to perform under the auspices of the AUGB for many years, for example the Manchester-based Homin choir and Orlyk dance group (both designated as AUGB representative ensembles) and the Dibrova choir in Bradford. The AUGB head office and branches have organised many exhibitions featuring Ukrainian fine art and folk crafts, as well as collections of photographs and other documentary material on specific themes. Apart from the Shevchenko Library and Archive at the head office, smaller libraries have been assembled over the years at several branches. In 2011 a permanent art gallery was opened at the Head Office. Until 1991 the AUGB engaged in various activities aimed at informing the British public about Ukraine and promoting the cause of Ukrainian independence. These included maintaining contacts with British politicians, journalists, academics and other influential figures; distributing English-language material about Ukrainian history and culture among the general public at concerts, exhibitions and other events; disseminating the AUGB’s English-language periodical The Ukrainian Review, submitting letters to the press, donating books about Ukraine to various UK public libraries and delivering lectures at universities, Rotary Clubs, etc. The Association lobbied in support of causes such as the introduction of Ukrainian-language broadcasts by the BBC World Service (late 1940s to 1980s) and official recognition of Ukrainians as a separate national group (late 1940s to early 1960s). In the mid-1950s and, subsequently, in the 1970s and 1980s, it took part in various campaigns to secure the release of Ukrainian and other political prisoners in the Soviet Union. As well as working with other Ukrainian organisations in relation to such activities, the AUGB co-operated with bodies such as the Anglo-Ukrainian Society, the Scottish League for European Freedom, the British League for European Freedom, the European Freedom Council (of which it was a member) and the Anti-Bolshevik Bloc of Nations. Since the establishment of Ukraine as an independent state the AUGB has continued to organise campaigns on issues such as raising public awareness of the consequences of the 1986 Chornobyl nuclear accident and recognition by the British government and local authorities of the 1932-1933 famine (Holodomor) in Soviet Ukraine as an act of genocide. Until the late 1980s the AUGB did not maintain any links with Soviet Ukraine. In the years leading up to Ukraine’s declaration of independence the Association began to establish direct contacts with certain organisations and individuals in Ukraine, as well as with Ukrainians in other Central and Eastern European countries where the ruling communist regimes were gradually being overthrown. Since 1991, in addition to its other work, the AUGB has engaged in various activities connected with Ukraine. Initially these focused mainly on issues such as establishing relations with the Embassy of Ukraine in the United Kingdom, facilitating visits to the UK by prominent figures from Ukraine and providing material assistance, for instance to victims of the Chornobyl nuclear accident. More recently the Association has co-operated with cultural and academic institutions in Ukraine and with the Ukrainian Embassy on projects such as joint exhibitions and book launches. In its relations with Ukraine the AUGB seeks to promote the furtherance of democratic values in the country. Representatives of the Association have acted as official observers at a number of Ukrainian elections.